After struggling post-earnings to get back to $50 a share, Micron Technology, Inc. (NASDAQ:MU) finally closed at that level on Mar. 5. It followed through Mar. 6 to trade at a yearly high of $54.64. With the stock price milestone out of the way, investors may wonder whether Micron stock will dip again or if it has more room to run higher. Fundamentally, Micron’s growth, coupled with its inexpensive market valuation, support a higher share price. Shareholders just need to ride out the inevitable profit taking. BAML’s analyst, Vivek Arya, forecast normalizing demand for DRAM and semiconductor chips in the first quarter. This will follow through with stronger sales in the second quarter. The forecast seemed to give MU stock a boost on Mar. 6. KeyBank and Stifel both upgraded its rating on Micron on Feb. 6. Since mid-February, Micron stock started moving up at a faster pace. Even at a recent price of $53.74, the stock trades at a P/E of just 8.47 times. Since analysts expect EPS to grow 104% this year and 27% in the next five years, Micron’s forward P/E is a remarkably low 6.20 times. While Micron stock getting to $50 is only symbolic, last December’s earnings report was very positive. Micron Q1 earnings beat consensus estimates. It raised its second quarter guidance revenue in the range of $6.8 billion to $7.2 billion. Previously, the consensus estimate for revenue stood at $6.21 billion for the quarter. Micron expects EPS could get to as high as $2.65 a share, a full 30.5% above the consensus estimate. What, then, is Micron stock’s fair value? Wall Street has 28 analysts covering the stock. The average price target is $59.50. A fair value model created by users on finbox.io suggests 16% more upside or a fair value of $62.38. If DRAM prices climb higher or stay at these levels, investors could build a Five-year DCF Growth Exit Model to build in revenue growth expectations of 35% annually through to fiscal 2022. That would give MU stock a fair value of around $65. On Mar. 5, Square Inc (NYSE:SQ) closed at over $50 but gave up gains the following day. Square trades at an expensive 66 times forward earnings. The short float is at a bearish level of 24%. Once the short squeeze ends, SQ stock could fall. Still, the payments-processing company keeps reporting strong growth in transactions each quarter. It is supporting cryptocurrency to facilitate trade. Intel Corporation (NASDAQ:INTC) closed at above $50 on Feb. 28 but climbed to a high of $51.33 the following week. At a 24.7 times P/E, the chip giant does not offer as much value as MU stock. JD.Com Inc (ADR) (NASDAQ:JD) closed at $50 at the end of January but reported quarterly results that scared investors. Q4 earnings of $0.05 a share would imply the stock trades at an annualized ($0.05 x 4 = $0.20) P/E of 200 times at the $50/sh share level. Micron clearly has a valuation advantage over the Chinese high-end brand retailer. Note: $50 is just a share price, so we use the “E” (earnings) in P/E to simplify the valuation comparison to Micron’s stock. Rocky stock markets may pull MU stock lower in the short term, but in the long term, valuations will imply that Micron will trade at higher levels. So if Micron stock falls below $50 again, the stock’s relatively inexpensive valuations would justify adding to the long position. Disclosure: Author holds no shares in any of the companies mentioned. 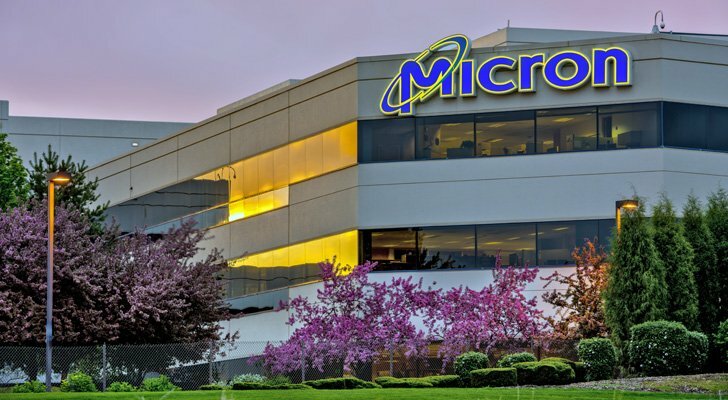 Article printed from InvestorPlace Media, https://investorplace.com/2018/03/investors-should-expect-more-upside-in-micron-stock/.